Successfully Added Network IP Camera - CMOS Sensor - Records Onto CF to your Shopping Cart. 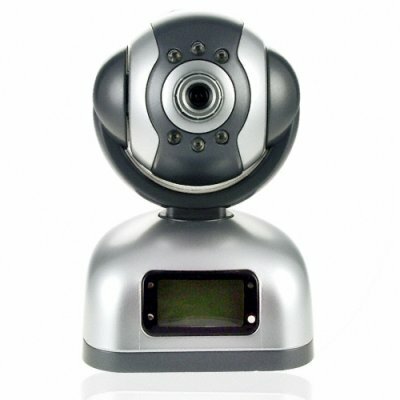 Network camera for surveillance or serving webcam-type video online. Built in CF card slot means you can record video direct to compact flash up to 2GB. With features like multi directional movement remote control and easy connect to PC by network cable with setup software included you're sure to keep your eye on things whether you're at work or away..
Protocol: RTP/IP, UDP/IP, TCP/IP, SMTP/HTTP/FTP, DNS and DHCP client, DDNS.